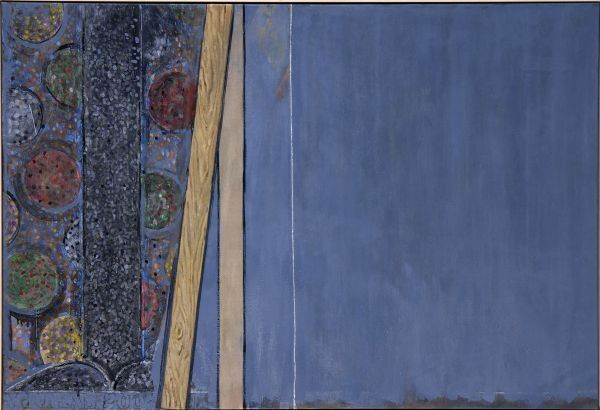 VALENCIA.- Exhibitions devoted to Jasper Johns are rare in general and even less frequent in Europe. 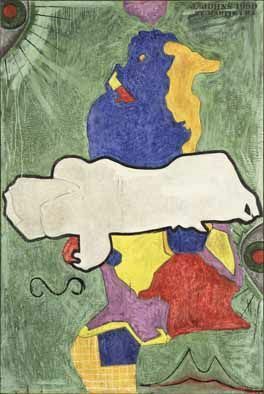 The show that the IVAM is now presenting, featuring about a hundred works, consists of pieces that range over fifty years of one of the most enthralling and hallowed careers in the world of contemporary art. 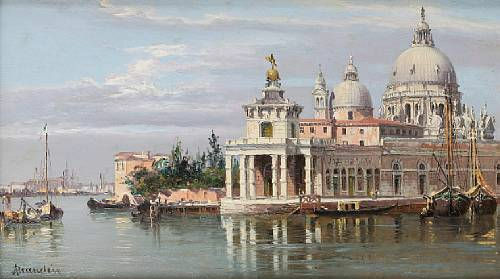 It includes paintings from American and European museums (National Gallery of Art, Washington; MFAH, Houston; Whitney Museum, New York; The Broad Art Foundation, Santa Monica; Milwaukee Art Museum; Centre Georges Pompidou, Paris; Tate, London, among others), and from private collections which show the evolution of an exceptional oeuvre. The presence of these works is completed by a substantial loan from the artist which includes, among other pieces, the largest sculpture that he has made, created in 2007 and never previously exhibited. There are also inks on plastic and drawings hung on the IVAM’s picture rails. 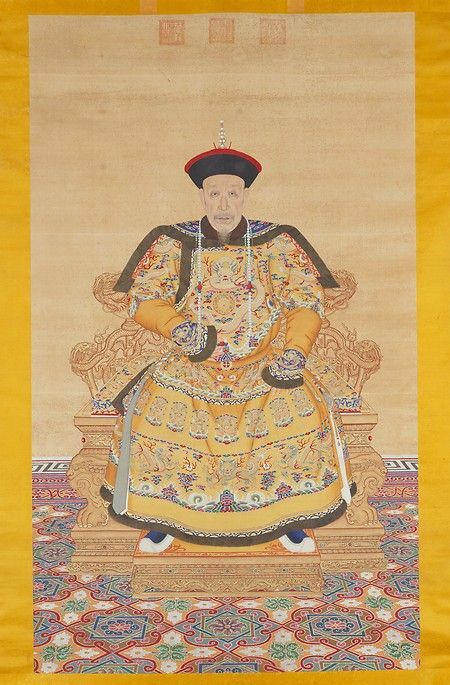 The exhibition would be incomplete without the group of prints that accompanies it. 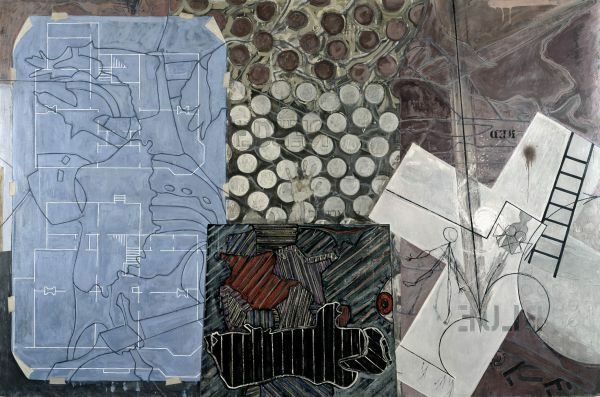 Jasper Johns’s graphic oeuvre, including etchings on copper and lithographs, is immense. As with Picasso and Matisse, printmaking is an omnipresent feature in his everyday activity, and as an eminent printmaker he has driven back and altered the limits of all the techniques that he has employed. 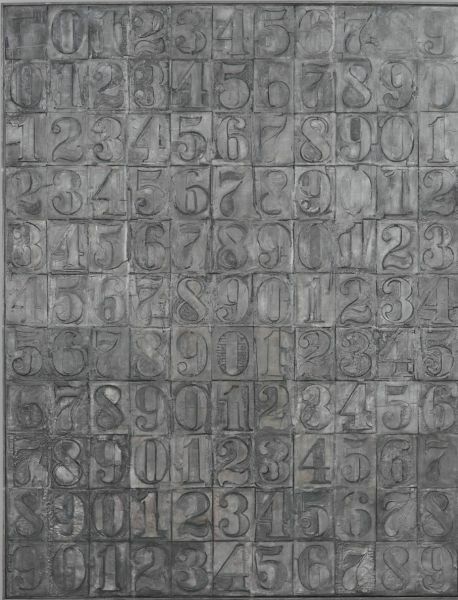 Many of the works – a mixture of all techniques – which feature in this exhibition focus on the numbers and letters that have appeared recurrently in his work during more than half a century. 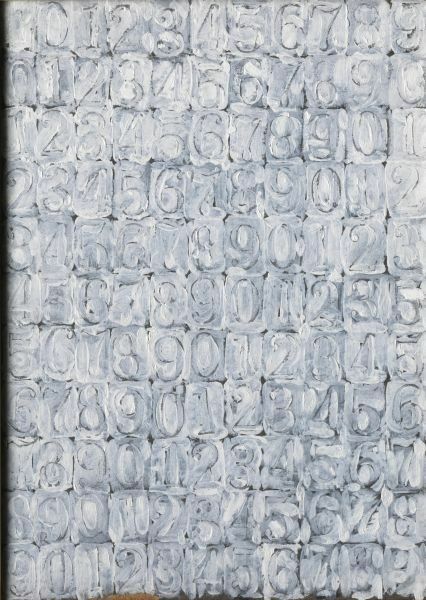 Symbols of non-verbal communication are present in his paintings, prints and sculptures. In a process based on repetition, the artist shows the importance of the constant development of thematic registers. 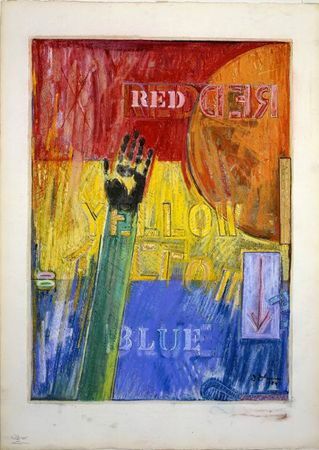 Jasper Johns was born in 1930, in Allendale, South Carolina. 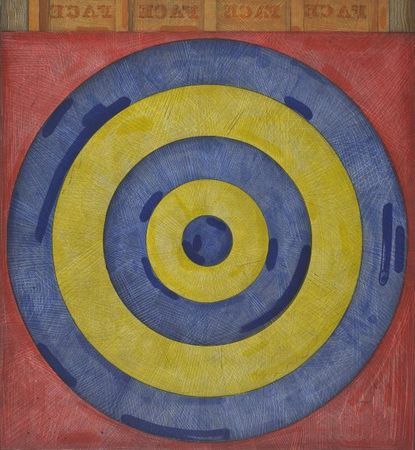 He is unquestionably one of the foremost artists in the world of contemporary art. He is a tireless searcher who from the outset reacted against Lyrical Abstraction and Abstract Expressionism and remained faithful to a kind of aestheticism, drawing his inspiration from the history of art. Driving back the limits of art, he has included his own roots and those of humanity in his work, together with his knowledge and his fondness for the past. 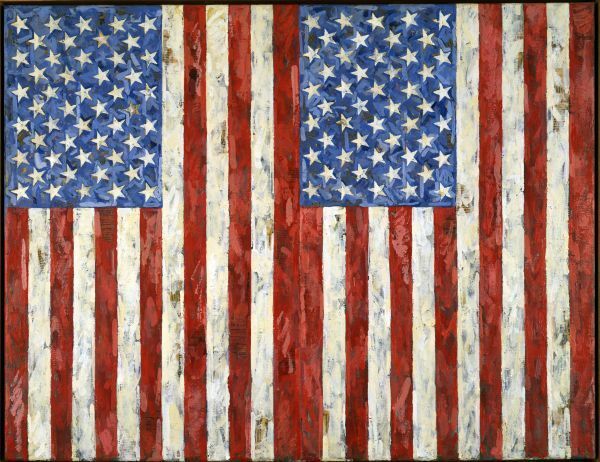 To quote a reflection made by an art historian, he is one of the last American painters who has retained “the aroma of the old Europe”. Jasper Johns is recognised now as an indisputable, emblematic figure of art, and his work, which played a decisive role in the birth of Pop Art and its consequences, also lies at the origin of many other innovations in the world of art. Considered a promoter of Neo-Dada, he remains unclassifiable. 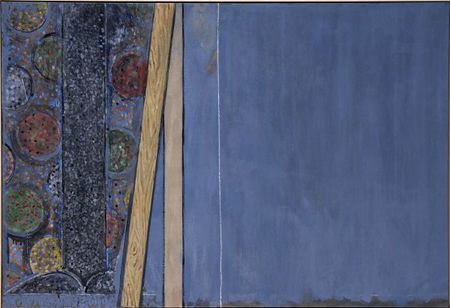 Through his own creativity and the perfectionism which makes him such an extraordinary craftsman, Jasper Johns ceaselessly asks questions about the function of painting, the mediating role of a product that tries and touches the sensibility of the viewer. 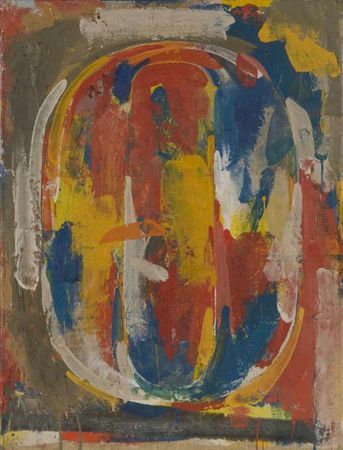 He is an indefatigable worker who possesses the impressive power of constantly questioning himself and the “feeling of a very profound order” that Eugène Delacroix describes in his Journal, which the artist needs “to maintain the originality of [his] thinking despite the habits to which talent is inclined to abandon itself”.